Looking for square print to highlight your favorite moments and Instagram memories? We offer several square photo print sizes and options that you can use for your family album or for decorating your home. Our 5×5 photos can be printed on either glossy or matte photo paper, and you even add a white border for a classic, vintage look. Order from your phone, tablet, laptop in minutes and conveniently have your order delivered to your door for any occasion or project! We also offer 8×8 photo printing and 12×12 enlargements! 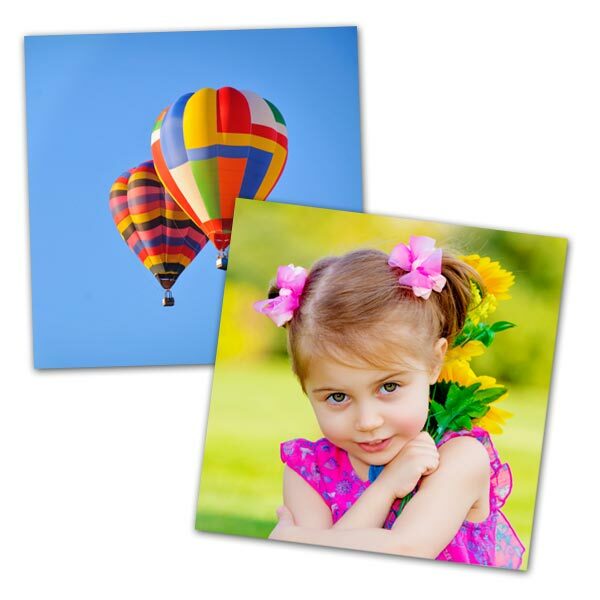 Perfect for display in a unique frame, you can showcase any photo in style on our quality square prints!